Come with me to North Africa in the early 4th century during and after what will come to be called “The Great Persecution”. The emperor Diocletian has issued an edict declaring that all churches are to be destroyed, all worship forbidden, all sacred vessels confiscated, and all Bibles and sacred texts surrendered to the Roman authorities. Some of the church’s leaders give in to the demands, others resist and suffer for their faithfulness. Not surprisingly, the rigorists in the church consider those who buckled under imperial pressure to be traitors and apostates. Things come to a head with the disputed election of one Donatus as bishop of Carthage, an able, eloquent, and charismatic personality who, despite sustained opposition from church and state, will remain at the helm for the next 40 years. What was at stake? According to Donatus and his followers, the church itself. The presence in it of those clergy who had bowed to pagan demands, they argued, compromised the integrity, tainted the purity, disrespected the martyrs of the church. Indeed they contaminated their congregations with their unforgivable crimes and must be removed from office. Things got very nasty. The issue of the nature and constitution of the church aroused such passions. Subtract the violence and you could almost cry “Amen!” for such theological seriousness. The basic question was this: What is the connection between the unity of the church and the holiness of the church? The Donatists were adamant that the unity of the church is based on its holiness, and that the holiness of the church is constituted by the holiness of its members, particularly its ministers. The church, that is, is a community of saints, not a school for sinners. So the Donatists circled the wagons around the vineyards they planted, to protect the “true” church from the pollution of the world, and drastically to prune its own vines. Opposing the Donatists was Augustine, bishop of Hippo (200 miles west of Carthage). Augustine and his followers were confident that the church could interface with a hostile world without fear of losing its identity. They insisted that the church is not a bolthole from the world, rather the church exists for the sake of the world, a world in pain and need. The church should not fear defilement either from pagan corruption or from Christian sinfulness, because its purity does not depend on its members and ministers but solely on its God. The church is not a community of the perfect, it is the community of the broken, those who live by God’s grace alone. It is therefore, inevitably, a “mixed” community, comprising quite bad people as well as pretty good people. Above all, said Augustine, the church is a fellowship of love – it is the love of Christ that constitutes its unity – a love that is patient and does not rush to judgement. And Augustine’s text? As the famous harvest hymn based on our parable has it: “Wheat and tares together sown, / unto joy or sorrow grown”. I wish that this were a story of good guys and bad guys: Donatus – “Hiss! Boo!”; Augustine – “Hooray! Look out, he’s behind you!” – but it’s not as simple as a Christmas pantomime. Both sides in the conflict, in fact, did terrible, shameful things. A militant wing of the Donatists, the Circumcellions, plundered the homes of peasant farmers, robbed their granaries, kidnapped opponents, blinded them, murdered them. Augustine, in turn, if reluctantly, endorsed counter-measures including, eventually, state coercion and violence. When it comes to deeds, there were no winners in this schism. But in terms of ideas and principles? “The past is never dead. It’s not even past.” Donatus and Augustine continue to argue and battle for the soul of the church. Where should our sympathies lie? Absolutely with Augustine, for one profound if rather obvious reason: if Donatus were right, we wouldn’t be here to discuss the issue, because if Donatus were consistent, there would be no church, just a sect. For where will you ever find a community of morally blameless people? Augustine himself was quite up front on this issue, even lurid. One who enters a church, he said, “is bound to see drunkards, misers, tricksters, gamblers, adulterers, fornicators ... The same crowds that press into the churches on Christian festivals also fill the theatres on pagan holidays.” And yet some Christians today would get their knickers in a twist about, well, me saying “get their knickers in a twist”. How we love a good moral panic! We’re a long way here from Augustine, or – better – Martin Luther, Augustine’s heir, who once advised his earnest young lieutenant Philip Melanchton to “Sin boldly – but believe even more boldly!” Augustine and Luther, you see, recognised that the gospel actually redefines the very meaning of “holiness”, translating it from the realm of moral purity to the sphere of grace and mercy. Nor does one have to be a moral relativist to recognise how fluid and changeable is our understanding of what is right, seemly, proper. Calvin saw dancing as “a preamble to fornication”, while the English Puritan Richard Baxter considered it “a sinful sport”. In the time of my own ministry, what used to be called “living in sin” has become for most people – I dare say most Christian people – an acceptable, perhaps even desirable, prelude to marriage, or even a tolerable arrangement in itself. And if – heaven forbid! – I were a betting man, I’d wager that in a generation the vast majority of Christians will look back on gay partnerships as we look back on inter-racial marriage. In any case, the essential point that Augustine made is this: that “in the final analysis the difference between Christians and others lies in one thing only: the former are members of the church, the latter not” (David Bosch). What binds us together is not an agreed code of ethics or practices but the love of Christ working through the mutual acceptance and forbearance of his members, members who are called to welcome diversity, exercise tolerance, and practice what has been called “interpretive charity” (Stephen Fowl) in our judgement of others. 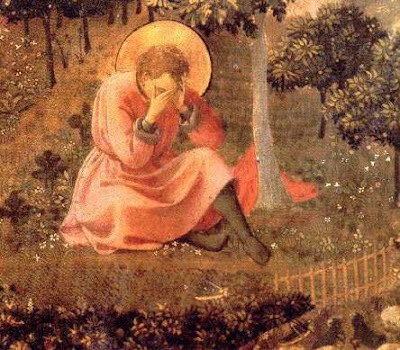 Augustine, with penetrating spiritual insight, saw that nothing is harder to avoid than self-deception, particularly when, assuming that the church needs protection, we don the mantle of “defenders of the faith”. Augustine also saw that defining yourself by what you are against is the symptom of an obsessive personality that clings to legalism and dogmatism. And he saw too the ultimate tragedy of this “absolutist attitude” (Reinhold Bernhardt): that in desiring to legislate and exclude, and in rushing to premature closure, we become angry, bitter, loveless. As we learn from the parable of the Wheat and the Tares, we are simply not capable of carrying out judicious separations; they must be left to the Judge in the fullness of time. “Till then, all false zeal must be checked, the field must be left to ripen in patience, the net must be cast widely, and everything else left to God in faith” (Joachim Jeremias). “The past is not dead. It is not even past.” And the future belongs to God.